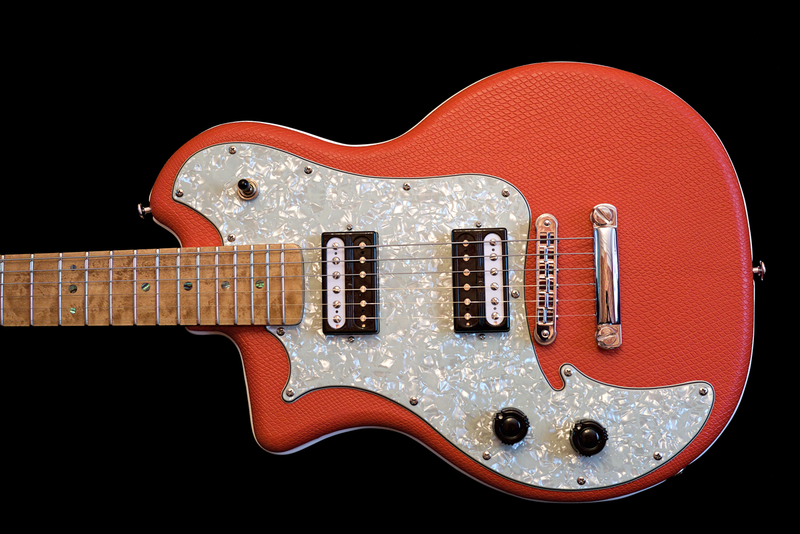 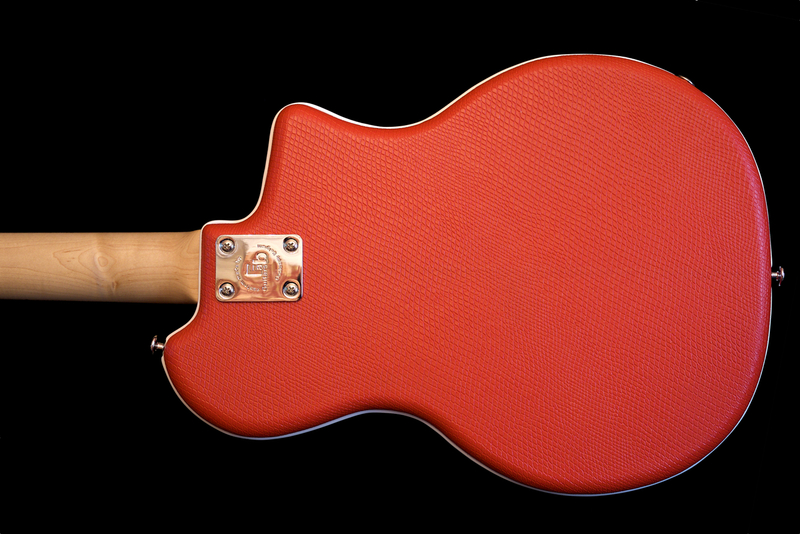 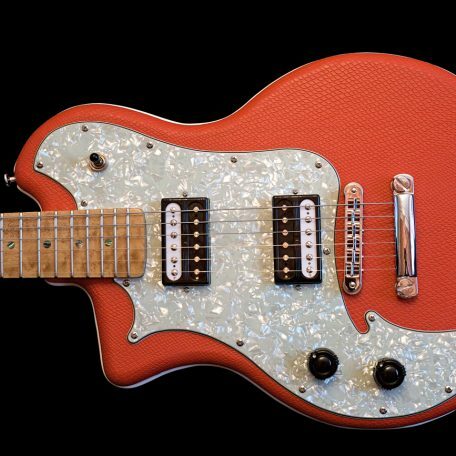 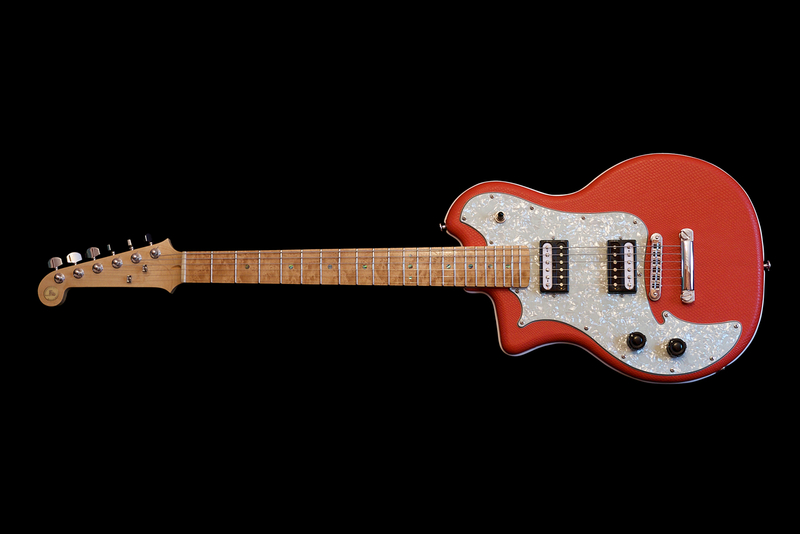 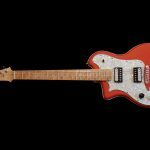 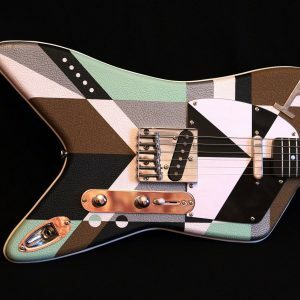 The Fab Vigo is a salute to the smaller brand electric solid body guitars of the 1950’s. 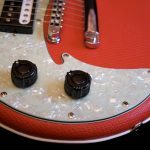 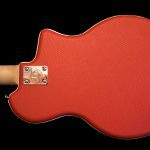 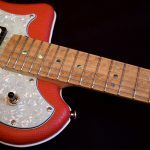 The body of this one is made of a century old pine barn beam, covered with red snakeskin tolex and a white piping trim on the edge. 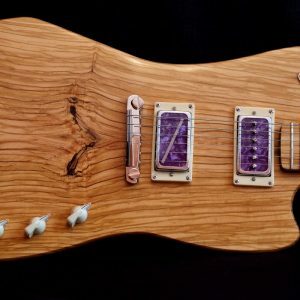 For the fingerboard I used a pretty piece of birdeye maple. 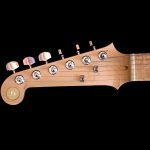 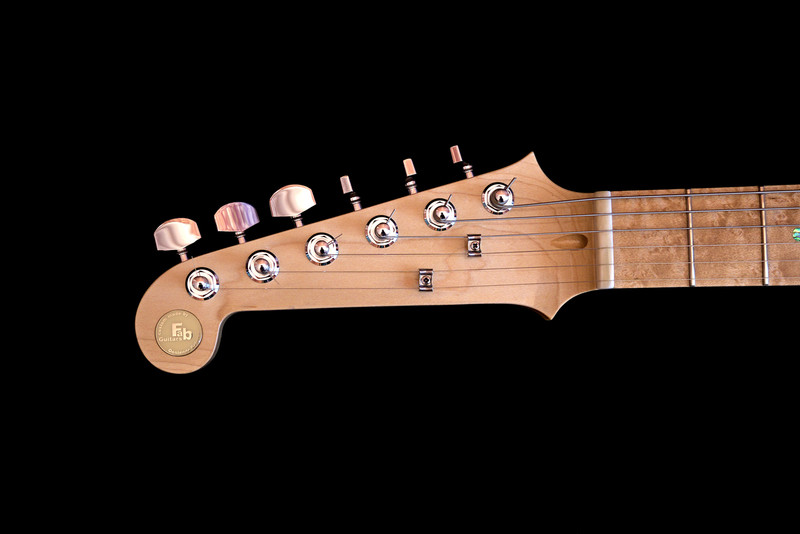 The neck is made out of hard Maple with a straight headstock mounted with Schaller Da Vinci tuners. 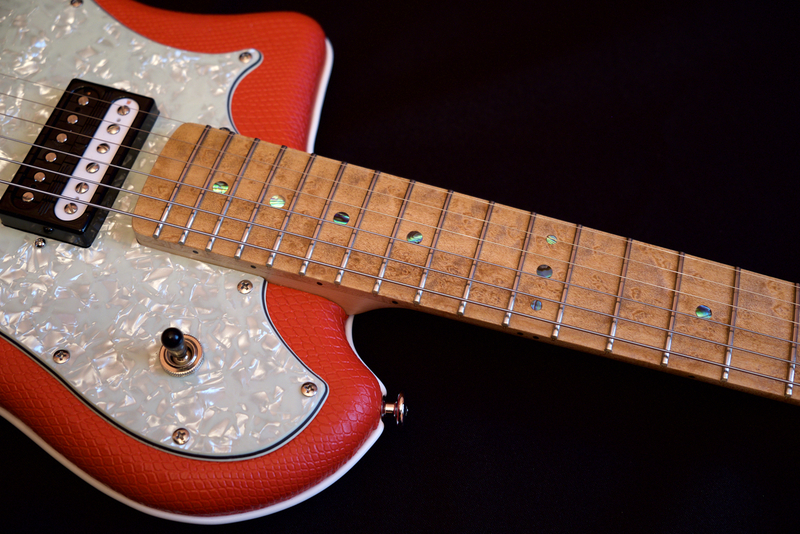 The 2 AlNiCo V humbucker pickups are handwound in my shop and have a full, bright and articulate sound. 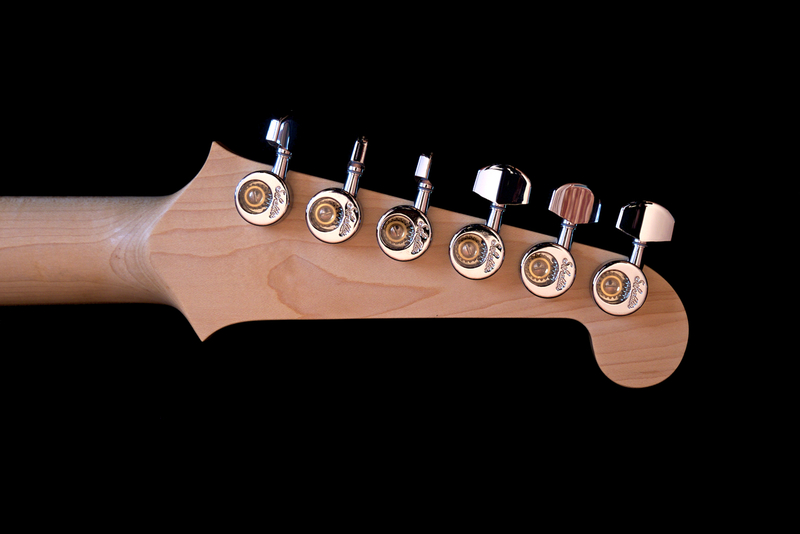 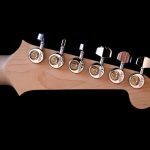 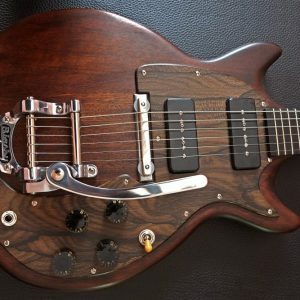 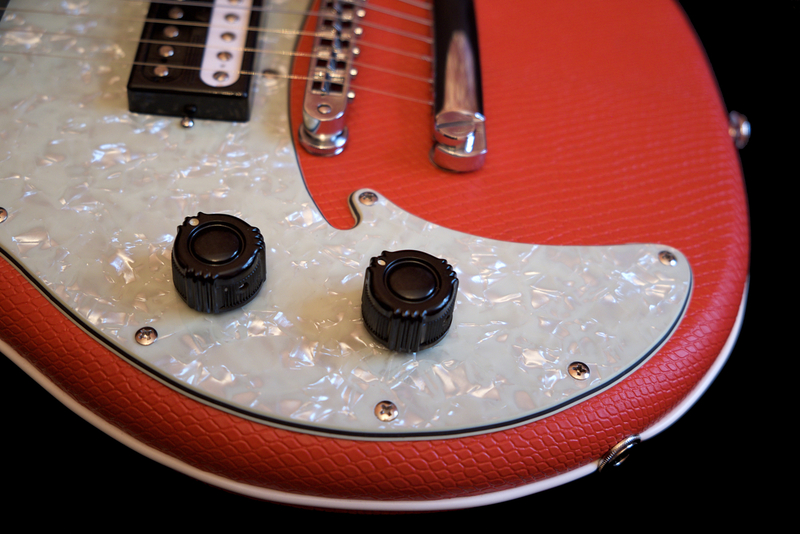 The bridge is a Schaller Nashville tunomatic with a Schaller stop tailpiece. 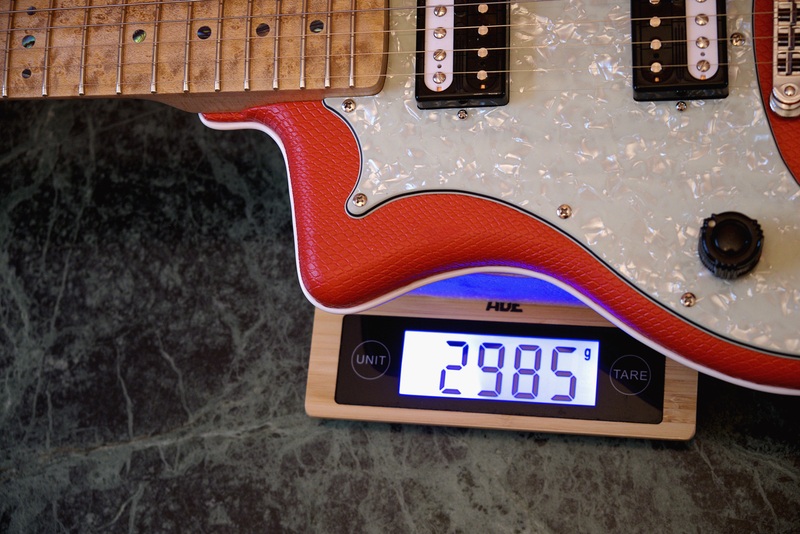 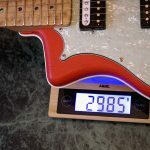 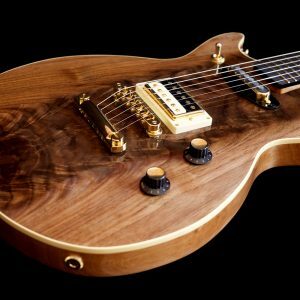 The total weight of this guitar is just under 3 kilograms.